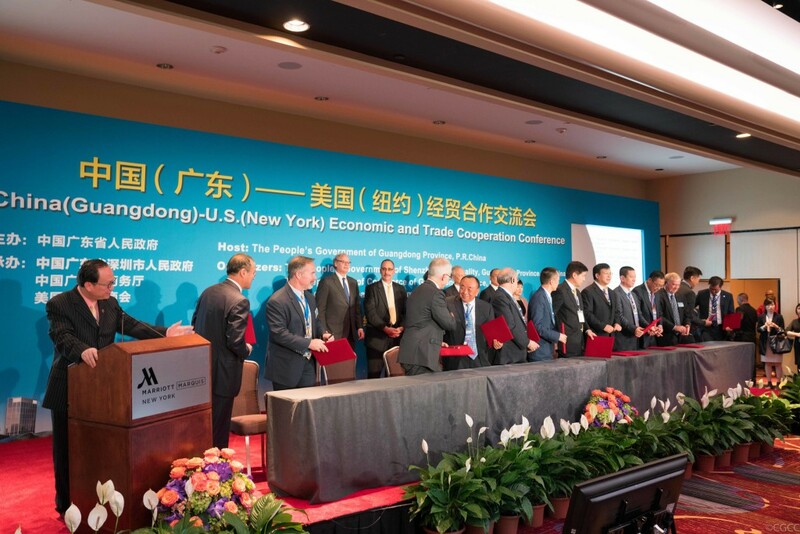 China (Guangdong)–US (New York) Economic and Trade Cooperation Conference Held in New York - China General Chamber of Commerce - U.S.A.
Friday, May 13, 2016, the China (Guangdong)–US (New York) Economic and Trade Cooperation Conference was held in New York. 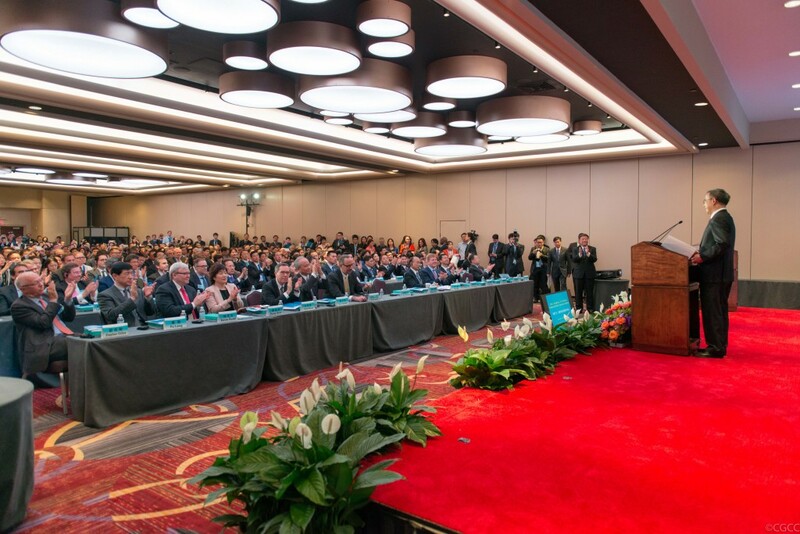 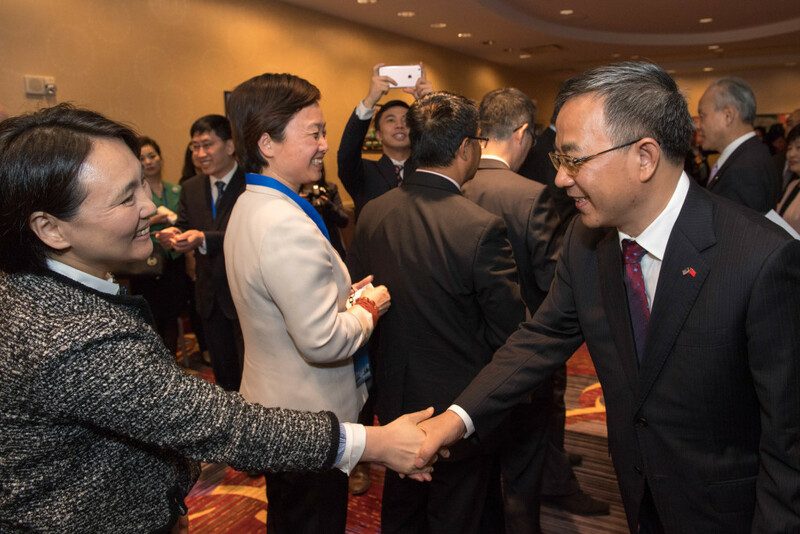 Attracting more than 400 people attending, this conference signed 28 cooperation projects worth 4.14 billion U.S. dollars between Chinese and the U.S. enterprises. 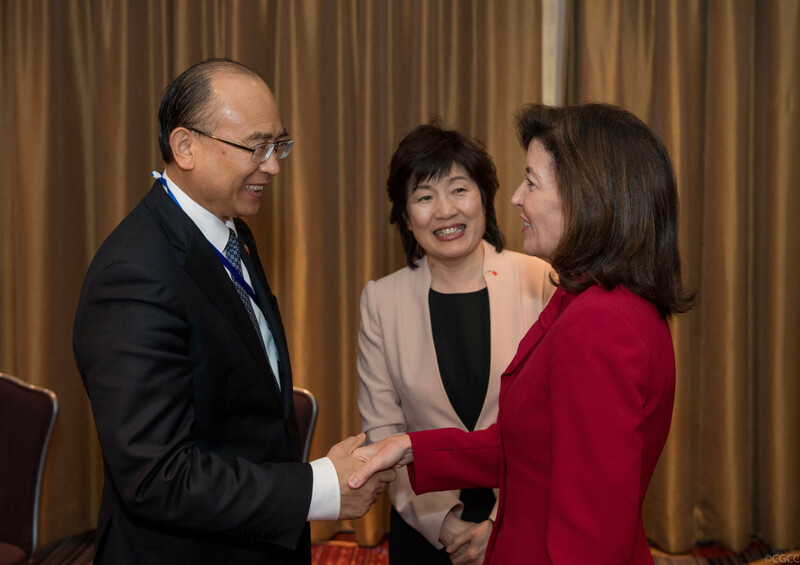 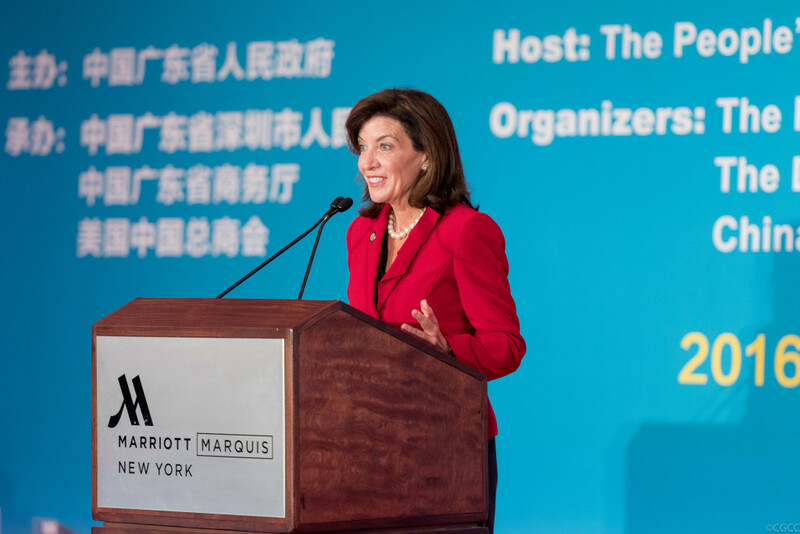 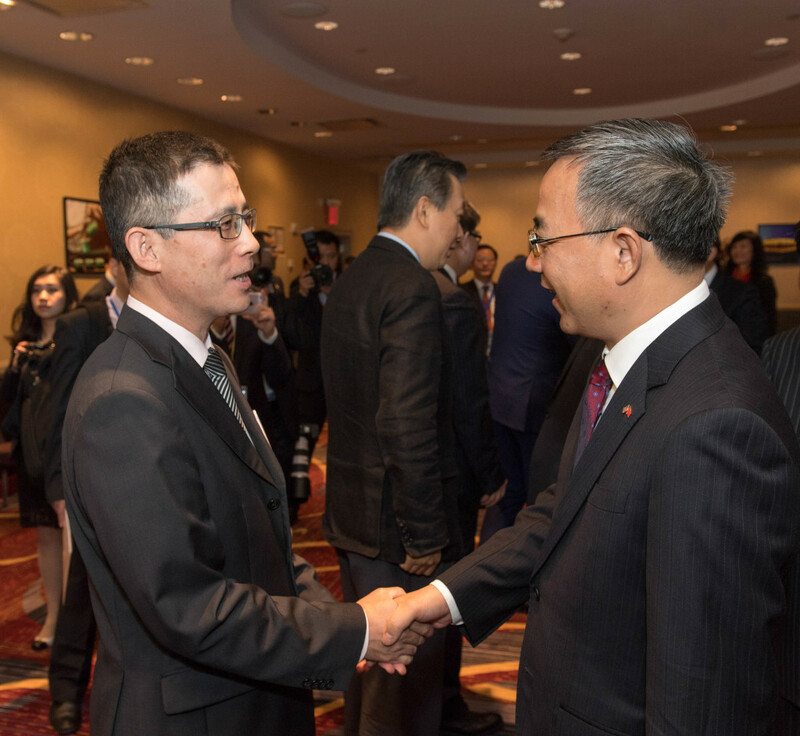 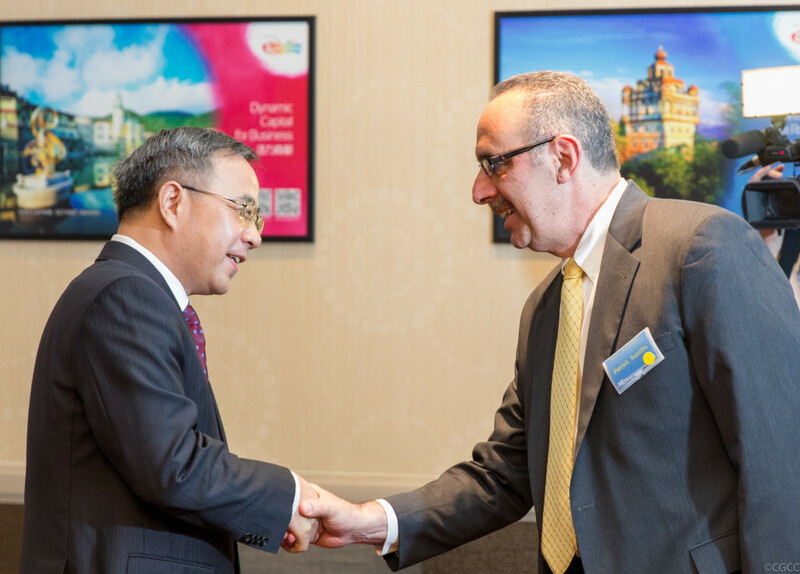 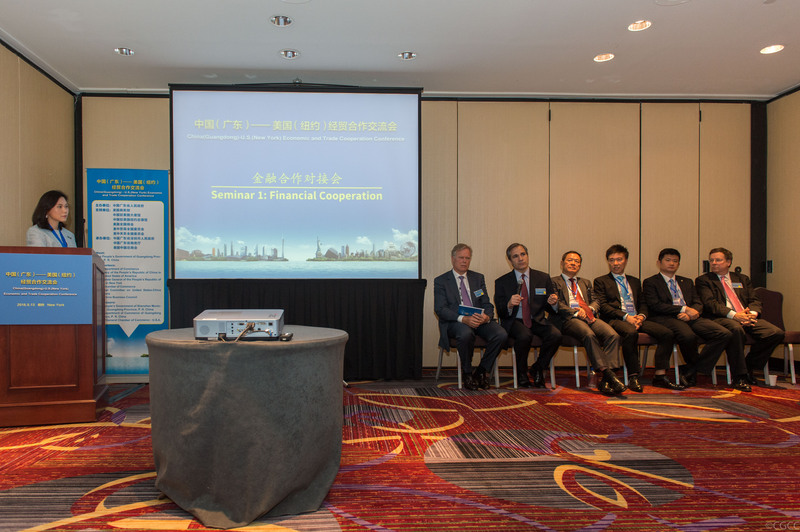 It was hosted by the People’s Government of Guangdong Province, and organized by Shenzhen Municipal Government, Department of Commerce in Guangdong, and China General Chamber of Commerce – U.S.A.
Senior government officials and business leaders from Guangdong came to New York to promote China’s most prosperous province as a place with great business potential and technological innovation. 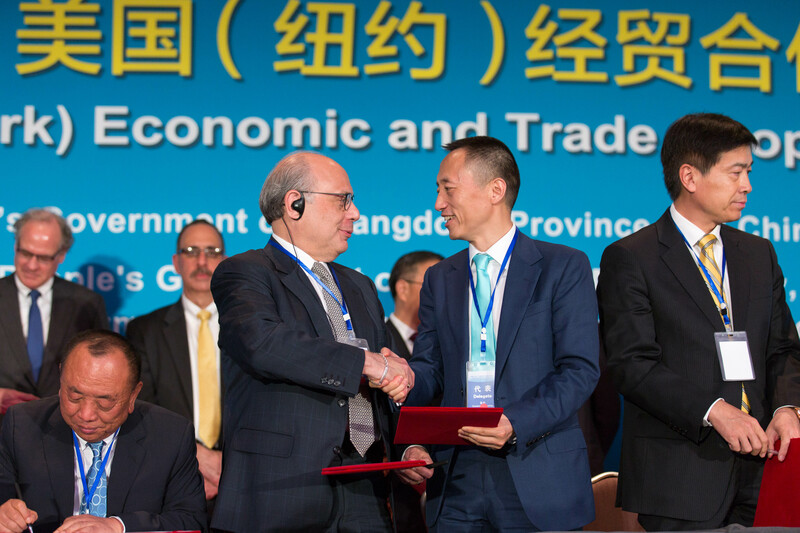 “Guangdong is one of the most prosperous provinces in China. 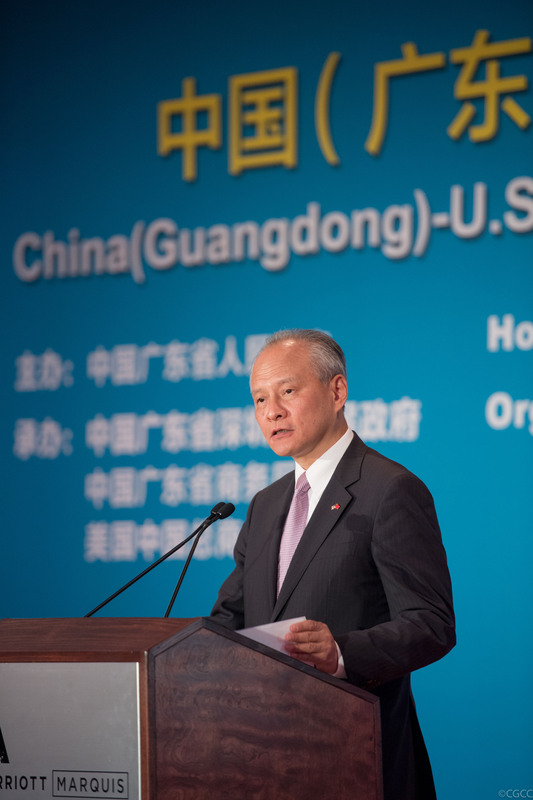 It has always been at the forefront of economic development in China, and it has always been very innovative,” Cui Tiankai, China’s ambassador to the US, told the conference. 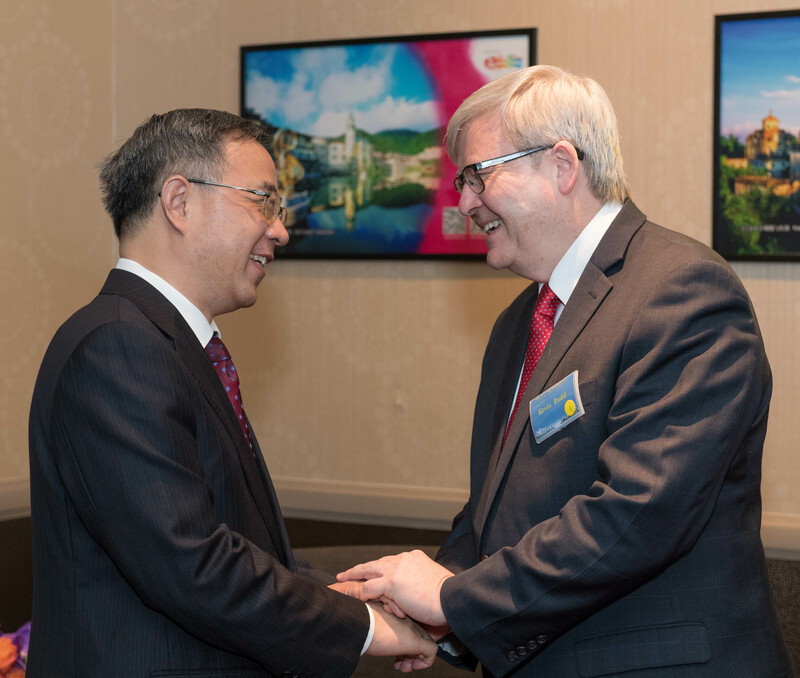 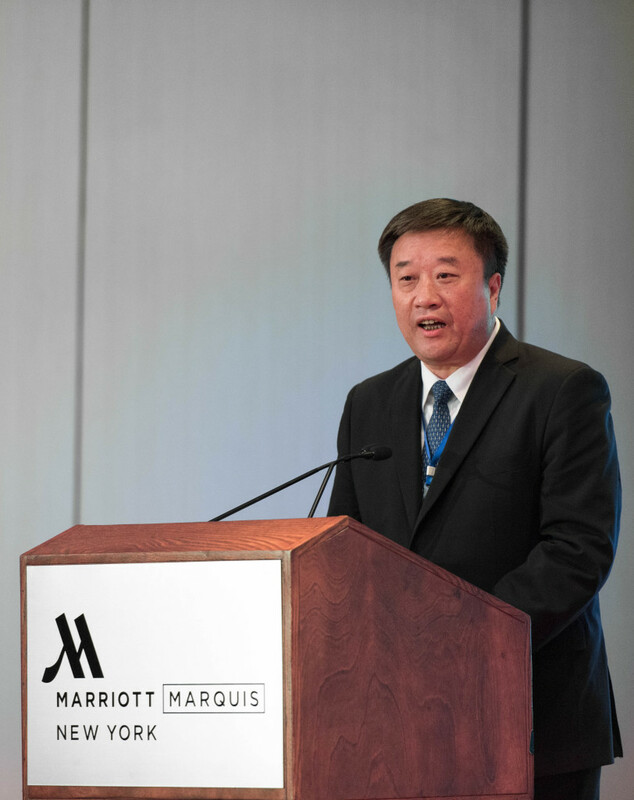 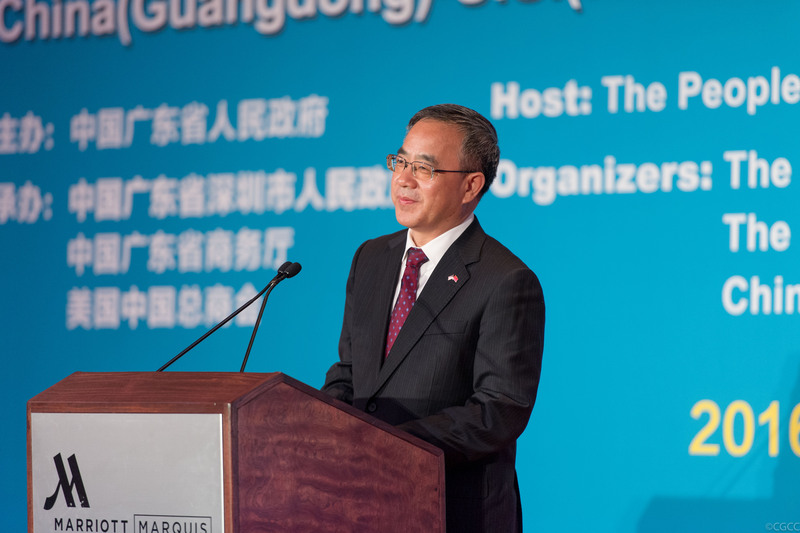 “In 1983 Guangdong province had already entered into a partnership with Massachusetts and the province had 20 friendship cities in the US, so it is already a reality that it has become a close friend of the United States,” he said. 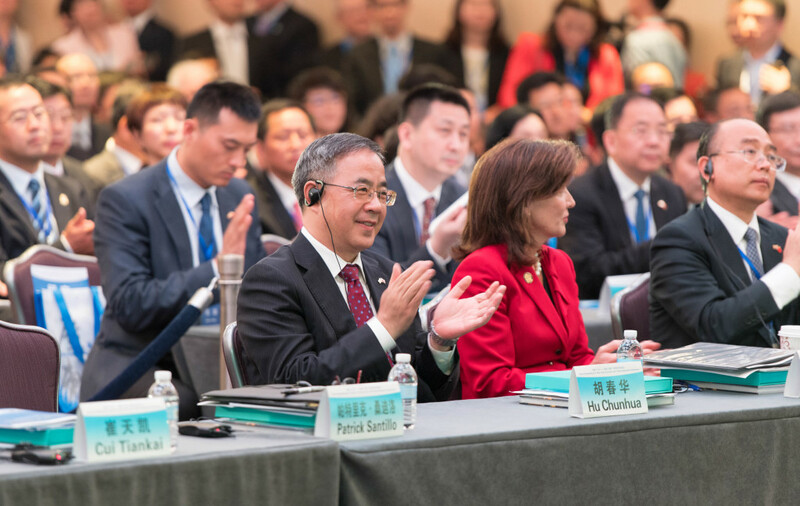 A large delegation from various business sectors in Guangdong along with Chinese and US government officials attended the conference that showcased tech industries in Guangzhou and Shenzhen, where many of China’s biggest tech companies have headquarters. 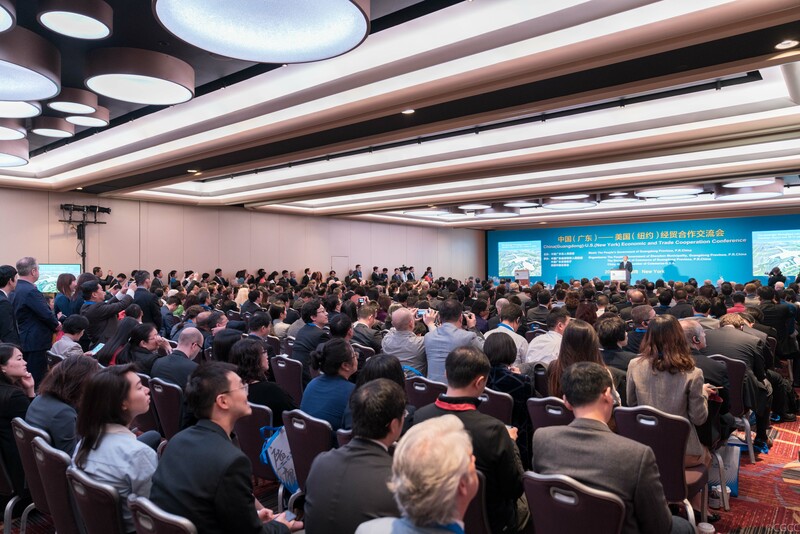 Guangdong province is China’s most populous province, home to more than100 million, and is the largest economic power within China. 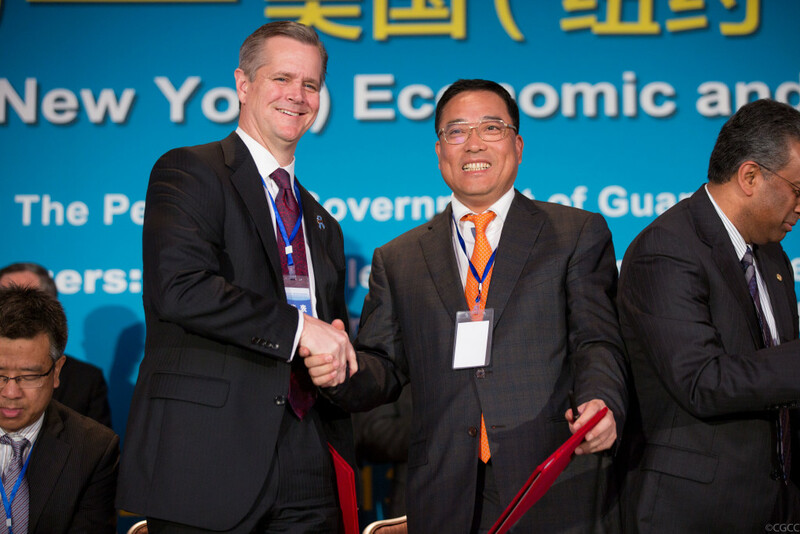 In 2015, GDP in Guangdong reached $1.17 trillion, an increase of 8 percent over the prior year and one-ninth of the domestic GDP. Its GDP of $10,800 per person is the highest in China. “After over 30 years of economic reform, Guangdong has achieved progressive development. Currently, Guangdong has entered into a new economic norm and maintains a stable development trend,” said Hu Chunhua, Communist Party secretary of Guangdong province. 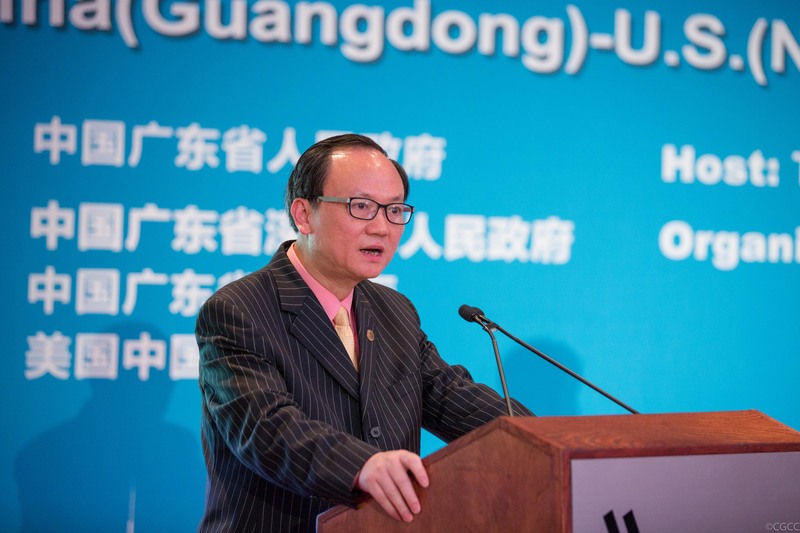 Guangdong’s main task going forward is to “promote structural adjustments”, which includes promoting high-tech industries, improving traditional industries, and relying on new technology development, Hu said. 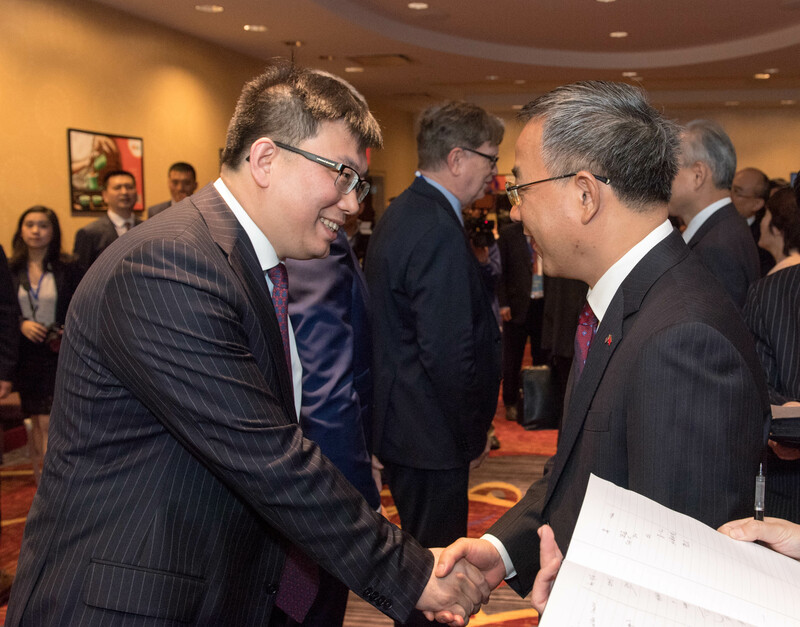 The province is also seeking to implement smart manufacturing and green low-carbon ecological development to improve the environment, and also to “speed up innovation and economic patterns,” he said. 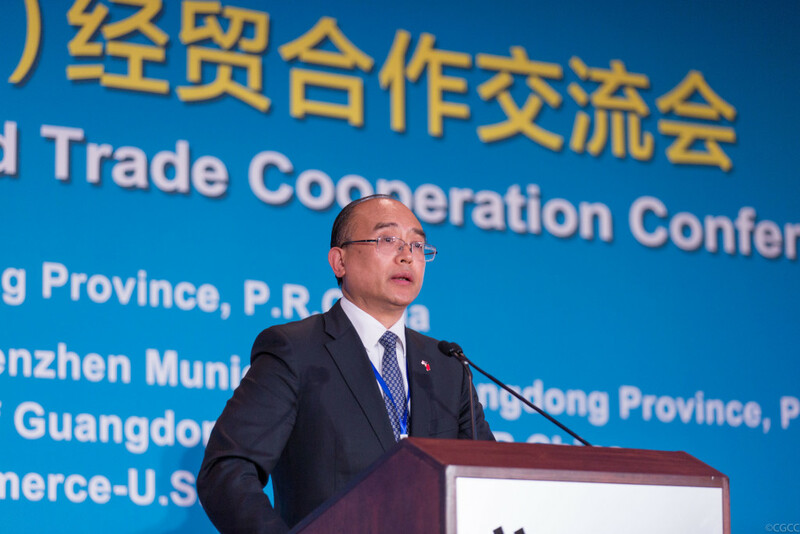 “We know that Guangdong is at the forefront of innovation in China and it has served as a gateway to China, way back to the days when it was first called Canton,” said Patrick Santillo, deputy assistant-secretary of Commerce for China at the US Department of Commerce. 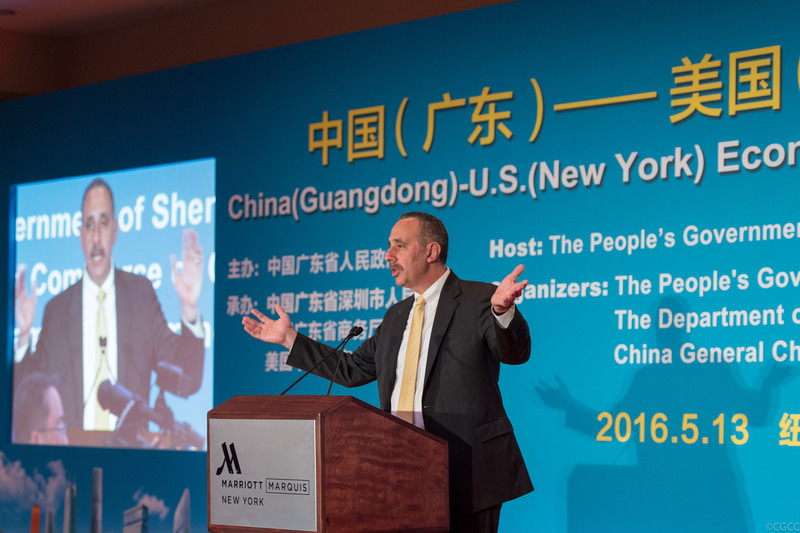 Santillo called Shenzhen — home to companies like medical-equipment maker Mindray and electric-car manufacturer BYD — a “tech-savvy and innovative city” that will play a key role in China’s economy. 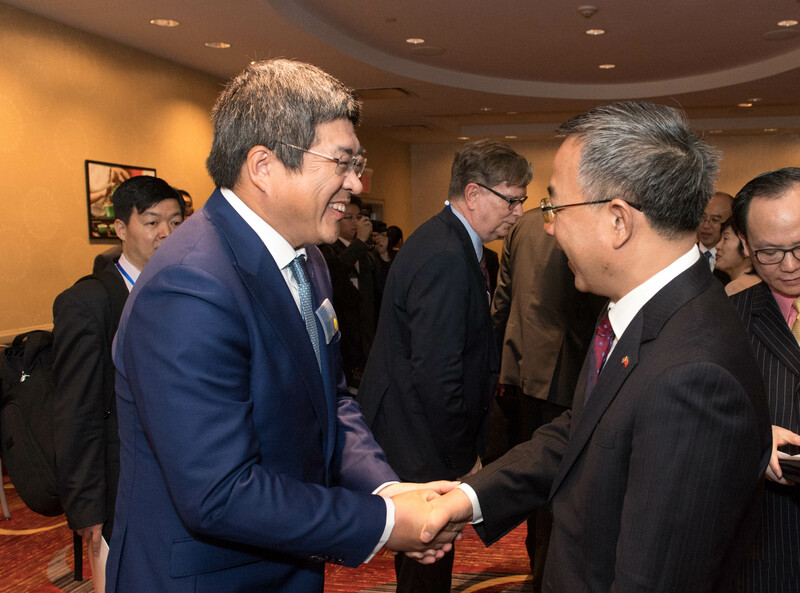 In two years, BYD has received more than 1,000 orders from six different US states for electric buses, and Ni Yidong, vice-president of BYD America, said the company has more than 50 percent of the electric-bus market in the US. 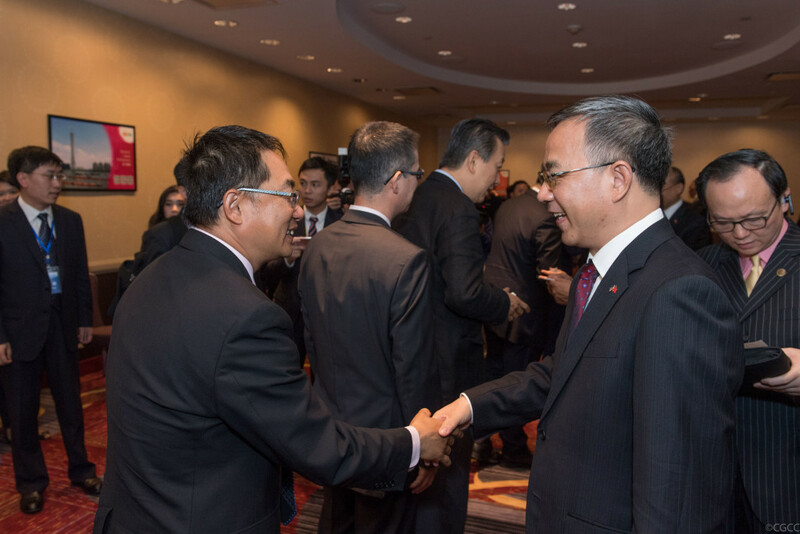 BYD announced in February that it will supply 85 electric buses to the Antelope Valley Transit Authority in California. 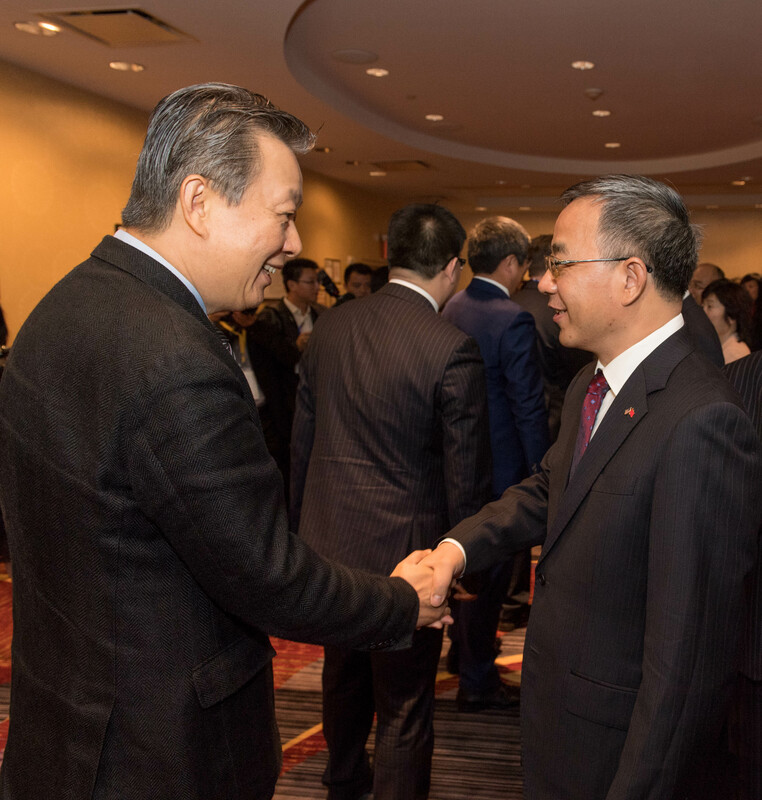 Shenzhen’s Mindray is a leading medical-device company, with its equipment used in 31 countries. 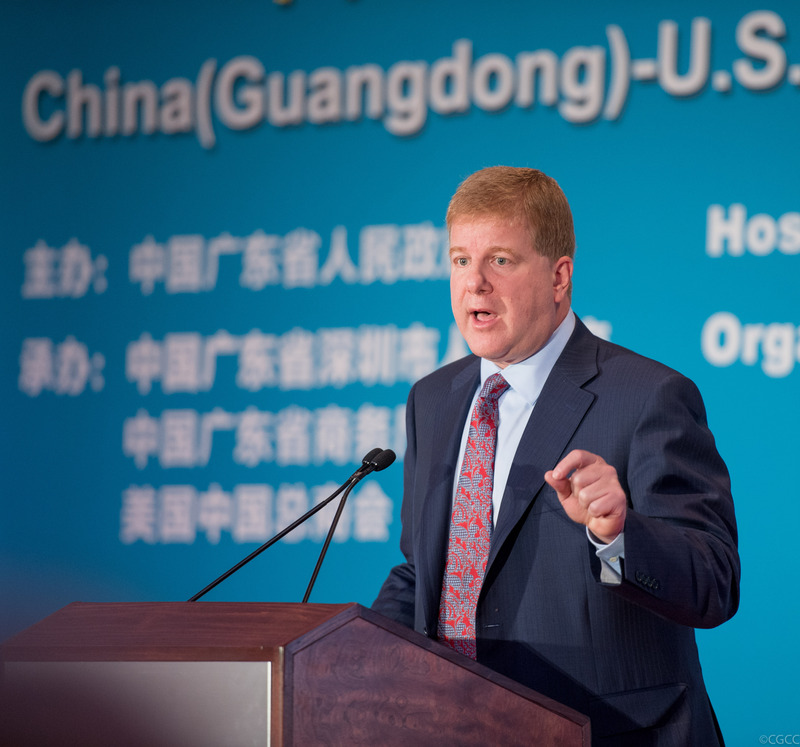 The 25-year-old company employs more than 10,000 people globally, and in November 2015 reported $327.6 million in net revenue. 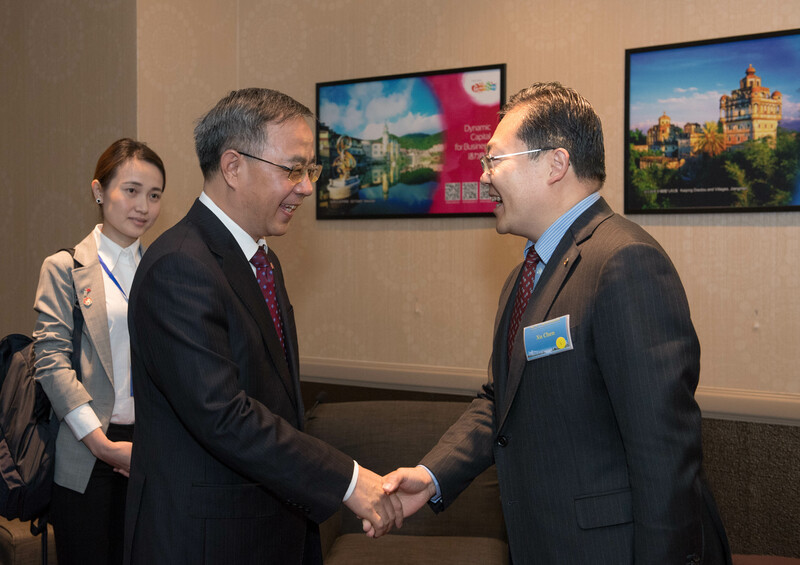 “Guangdong is combining internet with agriculture, manufacture, finance, logistics, business, environmental protection, and public service,” said Chen Yuehua, deputy director general of the Guangdong commerce department.